Drama in Washington over Michael Flynn’s guilty plea and efforts to pass tax cuts sent Wall Street on a wild ride on Friday. 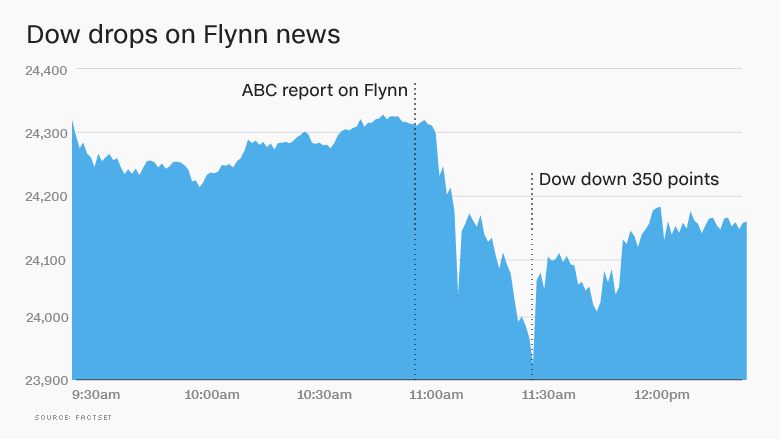 At one point the Dow plunged 350 points after ABC News reported that Flynn is prepared to testify that President Trump “as a candidate” directed him to make contact with Russians campaign. Stocks raced back on signs that Republicans may have enough votes to pass the tax bill. In the end, the Dow closed only 41 points lower. “This drama is clearly going to cause some near-term volatility,” said Ryan Detrick, senior market strategist at LPL Financial. The VIX, a barometer of market turbulence, soared as much as 29% to its highest level since August before retreating. Gold, which often does well during times of fear, gained 0.5%. The S&P 500 fell 0.2%. The Nasdaq closed down 0.4%. 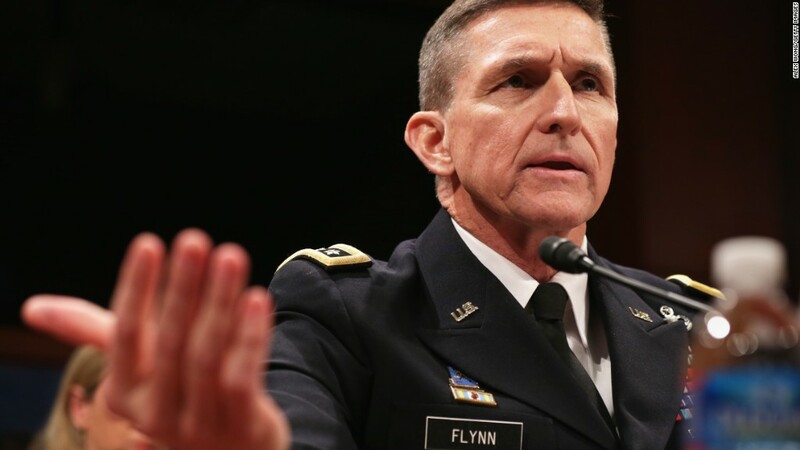 The sharp slide in the stock market came within minutes of the ABC News report on Flynn, who pleaded guilty on Friday to charges he lied to the FBI about conversations with Russia’s ambassador, according to court documents. “This is how a market reacts when there is a large unknown. Everyone wants to know: What’s the next shoe to drop?” said Art Hogan, chief market strategist at Wunderlich Securities. Peter Boockvar, chief market analyst at The Lindsey Group, said it’s “obvious” that the ABC News report was the catalyst for the tumble. “It’s potentially the biggest political headache he has to deal with,” Boockvar said. The selloff reflects fears that the Russia scandal will imperil Trump’s economic agenda, especially tax cuts. Indeed,the market trimmed its losses after Senate Majority Leader Mitch McConnell declared that Republicans have enough votes to pass the tax bill. The GOP tax plan has helped send U.S. stocks soaring in recent weeks. The Dow spiked 332 points on Thursday and closed above the 24,000 level for the first time. Despite Friday’s panic attack, the Dow still rose 2.9% for the week, its best performance of 2017. 10 years after the recession began, have Americans recovered? Just how far will Trump go on China and Mexico?